Chimney fires are relatively common in our area because of the frequency of wood fires. Once a fire starts in the chimney or flue it can quickly spread to other parts of the roof and house. Living or visiting a mountain community brings with it unique safety concerns. Each year people are seriously injured and occasionally killed by some of these risks that you may not anticipate. The good news is these accidents can be prevented and now is the time to prepare! Carbon monoxide is created from the incomplete burning of fuels like gasoline, wood, coal, natural gas and propane. It is often called the silent killer because it is an odorless, invisible gas. Mountain homes are usually sealed tight in the winter allowing the gas (CO) to build up unknowingly. Each year people die from CO poisoning and it is completely preventable. CO alarms should be installed outside each sleeping area. When the alarm sounds get out of the house and call 911. The fire department will respond and use specialized equipment to determine if there is CO, where it is coming from or if the detector just needs to be replaced. Don’t assume your CO detector is malfunctioning when it sounds, call 911. Clean the chimney. 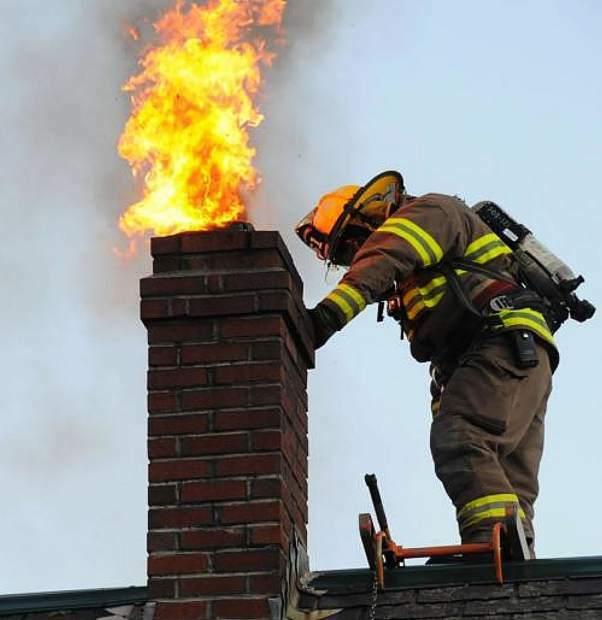 Chimney fires are relatively common in our area because of the frequency of wood fires. Once a fire starts in the chimney or flue it can quickly spread to other parts of the roof and house. Creosote or soot builds up inside the flue over time which can catch fire. Call a chimney sweep to clean the inside of your flue to prevent chimney fires. No sledding into a street. The snowbanks grow big throughout the winter in our neighborhoods and it is tempting to sled off of the banks into the road. There have been a number of sad stories over the years of someone sledding off a bank and into a road and being struck by a moving car or a snowplow. Use the dedicated snow play areas at the ski areas or around town, not near or on roads. Snow blower danger. Snow blowers are great tools but, unfortunately, they can quickly take a finger off or worse. It is easy to see and avoid the augur on the front of the blower but the real culprit is the spinning blade in the chute. Don’t ever clear the snow out of a blower with your hand, use a stick or long tool once the machine is completely off. Be sure to let your renters know about this important safety tip. Avalanches and roof slides. When snow sits on a slope, either on the mountain or on your sloped roof, gravity can lead to the snow falling down the slope in an avalanche or off a roof burying an unsuspecting person. If you travel in the backcountry take an avalanche course and go to SierraAvalancheCenter.org to get daily safety updates. Be careful to not let your kids play under a sloped roof loaded with snow. Disposing of ashes properly can prevent a fire. Every year someone puts what they think are cool ashes from a fireplace or woodstove into a paper or plastic bag and sets them outside on the deck of a home. The ashes, which stay warm for days, eventually burn through the bag, deck and ultimately into the house resulting in a devastating fire. Dispose of ashes in a steel container and you can prevent this from happening to you. Follow these tips and have a safe winter! Bill Seline is the fire chief at the Truckee Fire Protection District.